Well well well... Here we are at the end of 2017 and almost the same time last year i.e. around December 2016 we saw rumors and leaks of the Nokia D1C which was later launched as the Nokia 6 on 8th January 2017 in China. It is the same time of the year when we will again start to see many leaks of upcoming Nokia phones that are about to launch in near future. This time though, the leaks will be about the 2nd Generation of Nokia devices. The first leak about the Nokia 6 (2018) is coming from the nokibar forums on Baidu. 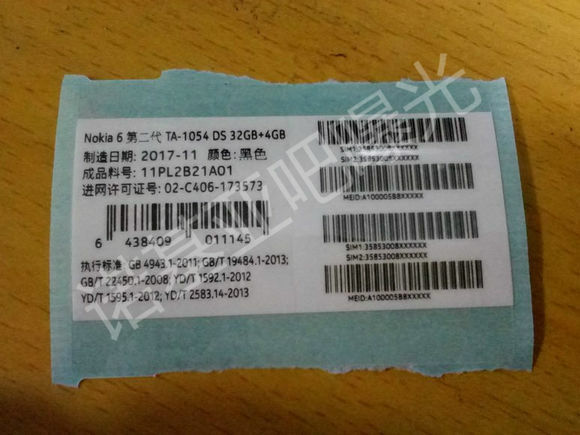 According to the source who posted the image of a label, TA-1054 is the model number of 2nd generation Nokia 6 (2018) and not Nokia 9 as it was earlier rumored to be. Nokia 6 (2018) will come with a refreshed external look as well as upgraded internals. Nokia 6 (2018) will follow the same design philosophy of having stunning design and tough aluminum build quality. Nokia 6 (2018) is expected to skip the capacitive navigation keys in favor of virtual on-screen buttons same as on the Nokia 2 and Nokia 7. The fingerprint scanner will also be moved to the back of the phone. The removal of navigation keys and fingerprint scanner from the front will lead to a narrow bottom bezel. The source also mentions that Nokia 6 (2018) will come with a thin 6mm body with the protruding camera housing reaching 8mm. There is no mention of the processor but Nokia 6 (2018) could be powered by a Snapdragon 6XX processor. According to the info on the label, Nokia 6(2018) with model name TA-1054 is a Dual Sim variant and will come with 4GB RAM and 32GB Storage. 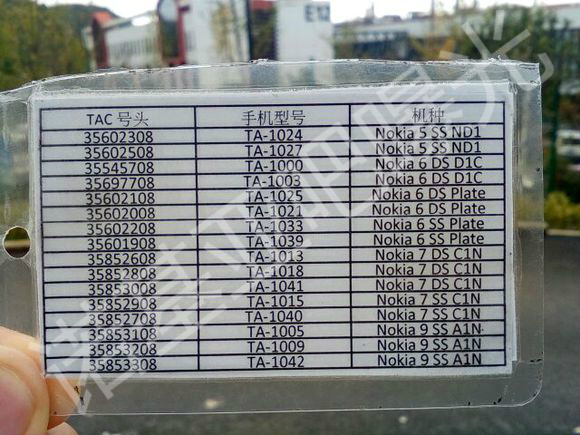 The source also shared an image showing a list of upcoming Nokia devices along with their model numbers. TA-1005, TA-1009, TA-1042 are the model numbers of different Nokia 9 variants. All Nokia 9 variants shown in the list are Single Sim and are codenamed as A1N. Below is the image showing the list of Nokia devices.